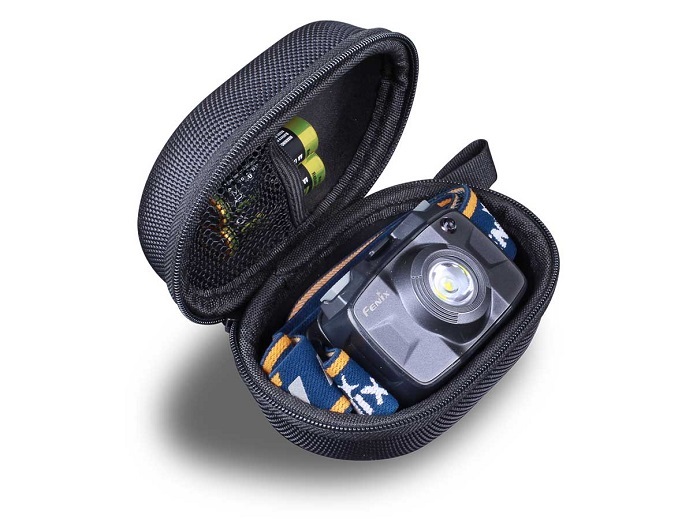 Fenix Headlamp storage is here. 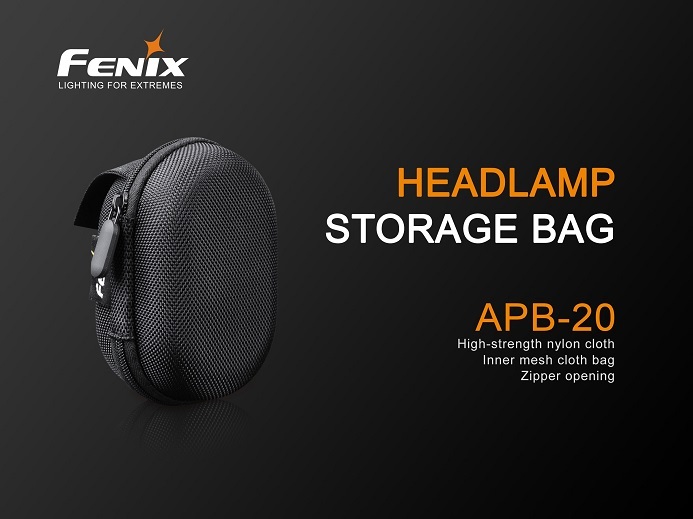 The Fenix APB-20 is an ultra-compact nylon storage bag that will fit most Fenix headlamp models. 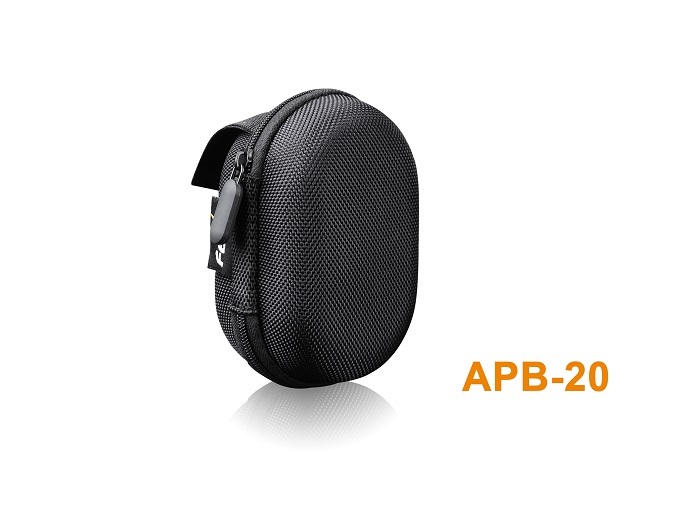 The Fenix APB-20 is made from durable nylon cloth, making it very sturdy and lightweight. 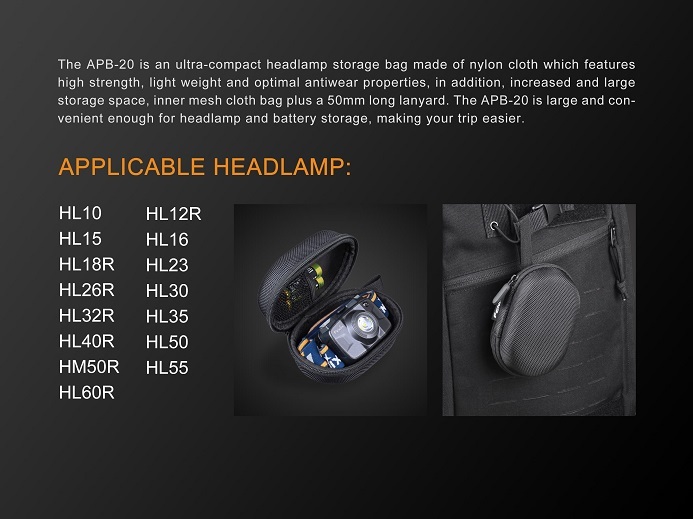 With its inner multipurpose storage pocket this bag will help keep your batteries, cords and headlamp all in one place perfect for camping, hiking, or traveling. 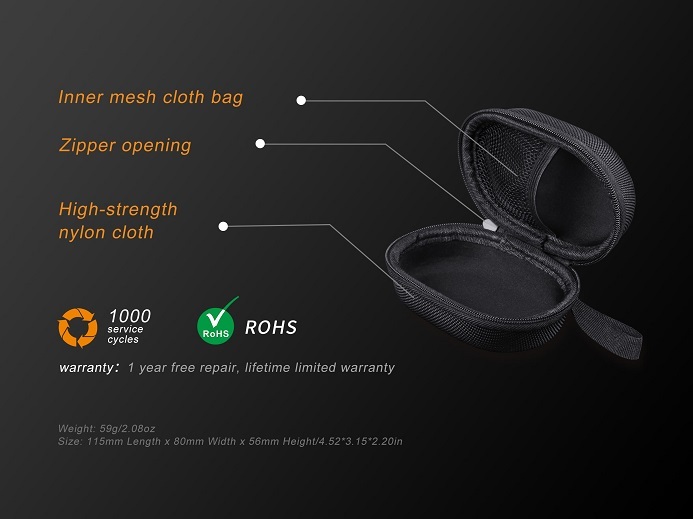 Compatible with: HL10, HL12R, HL15, HL16, HL18R, HL23, HL26R, HL30, HL32R, HL35, HL40R, HL50, HM50R, HL55, HL60R.